Traxxas Battery Holder with On/Off Switch Discounts Apply ! 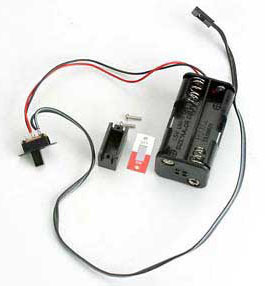 TRA3170 - Traxxas Battery Holder with On/Off Switch. Battery holder holds 4 AA Holder. Everything in picture above is included.